Investing in Belize can be an easy decision for foreign entrepreneurs looking for the most suitable location to base their offshore, international company. Belize is not only a tax haven but it is also a tropical paradise. Our Belize offshore company formation agents present some of the main reasons why to invest in Belize. 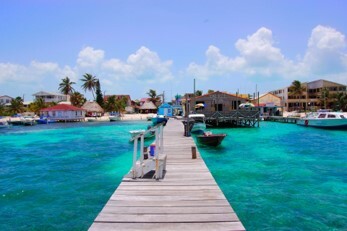 Belize is considered a tax haven because of its developed offshore financial services industry. The tax regime in the country is extremely attractive for offshore companies and foreign investors. There are no income taxes on dividends, interest, capital gains or on income from offshore sources. The fast and easy Belize company formation process is another important reason to invest in Belize. The International Business Companies Act and the Trusts Act regulate the creation of legal entities. Other important legislative resources include the Offshore Banking Act. One of our Belize company registration agents can offer you specific details on how to open an international business company or IBC in Belize. The banking regulations, just like the tax rules in Belize, are also very favorable for foreign investors. A high degree of financial privacy is possible because banks only release account information after a criminal investigation is underway and the relevant documentation has been submitted for such a bank account verification. A court order is also needed for this purpose. One of our Belize company formation agents can give you complete details on this matter. Another distinctive feature is that there are no restrictions in place on the movement of currency in and out of the country. Businesses may transfer currency as per their needs, with no requirements for reporting. The official language in Belize is English, making it very easy for foreign investors to maintain a good communication with the authorities and the local clients. The country is culturally diverse and social acceptance is high. Spanish is the second most spoken language. Belize is easily accessible from main cities in the United States and it is not only a business destination but also a paradise for nature and water sports lovers. Belize may be the Caribbean country to have found the perfect blend between being a holiday destination and a worldwide offshore location. If you want to open offshore company in Belize you can contact our company formation agents and we will assist you with complete information.